One More Course Finished – 27 More to Go! Our Bible Institute is going very well with our new church plant in San Francisco as we have already completed 6 of the 33 courses just since September. This is a very small community but are neighbors to villages very close by and so Nilton, who will be the main pastor, is already reaching out to them with the Gospel and inviting them to church. 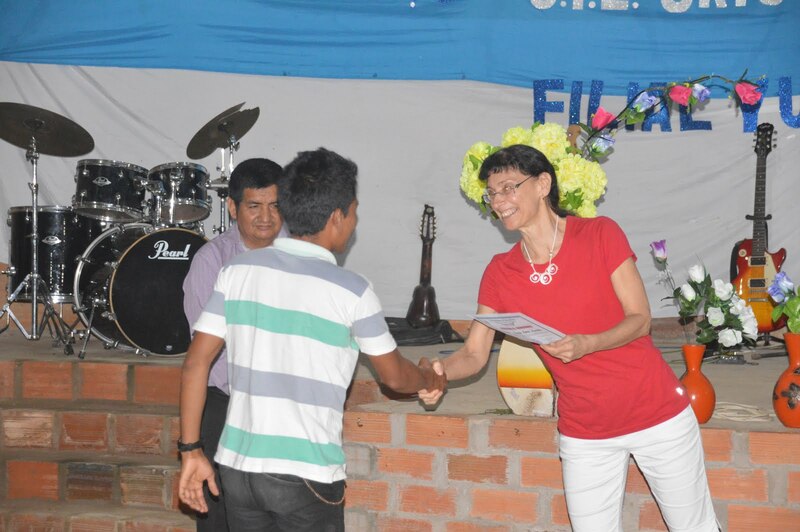 Jilton, his brother-in-law, will be the Assistant Pastor and will help with teaching and evangelizing as well. All of the students are showing strong interest in the course material and are very dedicated to complete the institute. The subject matter is very anointed and is already bringing a much clearer understanding of the Lord and their relationship with Him according to what the Bible says. I am very excited to see these changes because with the knowledge of the Truth through the study of the Word they are empowered to seek God on their own, stand in faith and take strong initiative in prayer that they simply could not do before due to lack of experience in the Word. This Institute is designed to equip church leaders to grow in their faith through the study of the Word and apply what they learn to their lives. 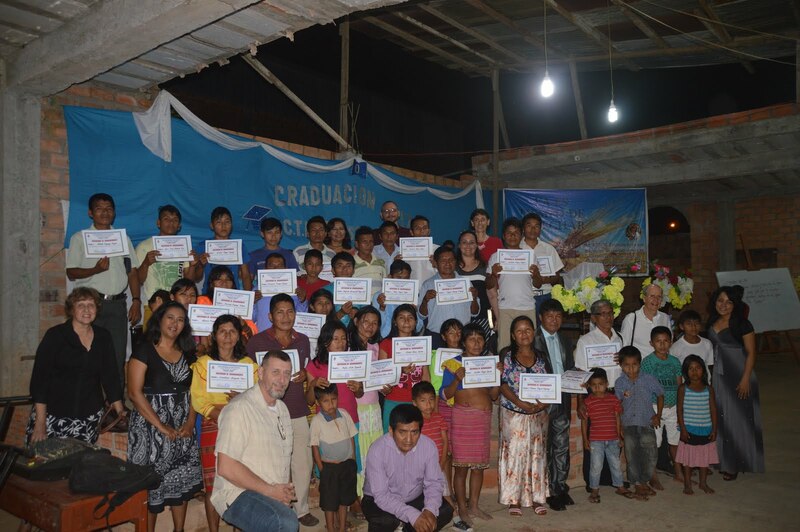 I will be starting another Institute among the Ashenika Indians in April of next year to train them as well in their growth and development in the Lord but also to prepare them to reach the lost in their area with the Gospel. Please keep these Institutes in prayer so that the participants will complete all the requirements and be able to fully absorb the content. We will be having another Bible Storying Conference at the end of this month to teach those who don’t read or don’t read well the stories in the Bible. This is a very important method of teaching the Word to the illiterate because it gives them full command of their growth and development in their relationship with the Lord. As they memorize the stories that are taught the Holy Spirit can then begin to bring application to their lives personally. We had great success last year especially among the Shawi Indian women since culturally they don’t speak in public settings. Through this format though they had the chance to listen to the story two or three times, answer questions and then break off into small groups to listen and repeat the story again. We found that in the beginning most of the women did not speak in the small groups but by the end of the conference all of them were sharing confidently the details of the story they were learning. One woman commented to us saying that normally Shawi women don’t have a voice among the community but with this they are encouraged to speak and be heard. The conference is coordinated by an Assembly of God missionary and involves all of the American missionaries in Yurimaguas (there are about 8 of us) from three different mission organizations. It is such a blessing to be able to work together and combine our ministries in this way to reach the Shawis that all of us are working with in the study of the Word. The dates of the conference are November 28 to December 2. Would you join with us in prayer so that all of the participants will understand and retain everything that they are learning and have strong enthusiasm to share what they’ve learned with those back home? We, as missionaries, cannot reach all of their communities but they can and with these stories they can reach the unreached much more quickly and effectively than we could. Thank you so much for standing with me in prayer for this work and I pray that you can rejoice with me in all that the Lord is doing among the Shawi communities. May the Lord bless you in every way as you enter this holiday season.